Sometimes the way things are presented in the media oversimplifies a situation and misses balancing perspectives that help truly understand what’s going on. I’ve recently been following the Tim Hortons Story in Ontario where store owners (in fact, the children of the founder) have changed their employee benefits program to being cost shared instead of being 100% employer paid. The owner has also taken away paid breaks from the employees. Of course, this wouldn’t normally be news, but the employer was forthright with its employees in this situation and advised that they took these measures in response to the increased minimum wage in the province of Ontario. By the way, the minimum wage in Ontario just increased from $11.60 / hour to $14.00 / hour – an increase of over 20% on January 1, 2018. These articles focused on the employees and how they feel they’ve been hard done by. Now the Premier of Ontario, Kathleen Wynne has weighed in and has accused this franchise of being “unfair” and engaging in a “clear act of bullying” its employees. The media has allowed the employer to be painted in a negative light without providing a balanced perspective. There has been no mention of layoffs or terminations as a result of the minimum wage increase. It appears this franchise is trying to take a balanced approach in this situation by having everyone hurt a little bit, instead of a few people hurting a lot by losing their jobs. Although one employee complained that he had less on his paycheque now as a result of having to pay for benefits, that employee still has a job (and a job that provides benefits)! It is unexpected that a number of these employees have had benefits in the first place! In the fast food industry, most employees are part-time and don’t have access to benefits at all. The fact that these employees continue to have a benefits plan is positive news for them. They may not even have the opportunity to be a part of a benefits plan at another industry employer. In addition, the employer is still paying half the cost of the benefits plan for its long tenured employees. It is fairly common in many industries that the employee and employer share the cost of benefits. The fact that this employer previously paid 100% of the cost of benefits was uncommon and incredibly generous of them, especially for this industry! The employer used to provide paid breaks to its employees. This provision of paid breaks is not (at least not yet) a requirement by Ontario Employment Standards. To take away something that wasn’t required and that went above and beyond legislation in response to an imposed increased cost seems like a reasonable business decision to try to ensure the business can afford to continue to operate and provide jobs. The Employer provides jobs for these people. Yet, somehow, in the media’s perspective, if a business owner adjusts the overall mix of compensation to try to deal with a minimum wage that increased by 20% almost overnight, they’re the bad guy. Really?!? This attitude of vilifying the very people who are driving the economy and creating jobs must stop. I’m not about to support bad behaviour from bad employers, but this Tim Hortons franchise had been going above and beyond legislative requirements in its overall compensation for its employees. Yes, the employees now have an increased minimum wage and yes, the employer is changing its overall compensation strategy to deal with this change. They all still have jobs! They still have access to a benefits plan. Wow. Ontario’s entrepreneurial spirit cannot be expected to die in the face of a significant increased cost. Now that we’re starting to see some of the creative (and entrepreneurial) ways in which employers are dealing with this imposed cost increase, it should not at all surprise us that they are coming up with ways to creatively assess and deal with it. It was this very type of thinking and spirit that led these people to risk their own personal finances to open these very businesses that provide real jobs for real people. Let’s not forget that many employers in Ontario have threatened to cut jobs because of this wage increase. 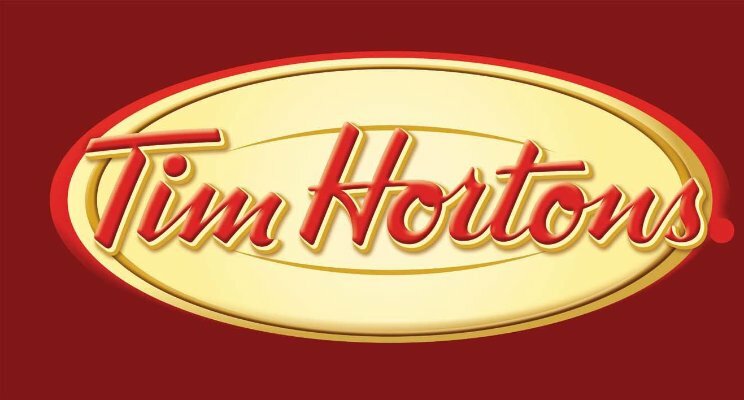 In the case of this Tim Hortons franchise, they perhaps should be hearing our words of encouragement instead of (or in addition to) our words of criticism as they are at the very least, trying to find ways to retain employment for ALL of their employees. I think the final word in this perspective should be clear – the goal of having people earn a living wage is a noble and appropriate goal for a province to undertake. It is a great direction to have people who are able to work full-time to be able to pay for their own basic needs and even have some discretionary income at the end of the day. However, it certainly appears that the Government of Ontario is placing this responsibility solely on the shoulders of the employers and companies who are creating these incomes in the first place. It seems curious to me that the province who is so concerned with ensuring workers have an income that can be sustainable doesn’t seem interested in raising the minimum tax exemption, which would be a significant help to lower income earners and would share the living wage burden with employers. Maybe Kathleen Wynne needs to find more efficient ways of running her government so she can stop burdening (almost used the word bullying) low income earners with her current tax program ?. I would love to see your comments. I suspect many people may disagree with this viewpoint, but I wanted to try to balance the perspective from the articles linked above. If you disagree and wish to comment, I just ask that you be respectful in your response. Thanks!